After teaming up to drop the “Shadow Shark” RC Car Sticker Kit back in November of last year, :CHOCOOLATE and A Bathing Ape‘s AAPE imprint have come together once again, this time teaming up with expert customizer Bamford Watch Department for a limited edition timepiece. Coming in the form of the clean and classic Rolex Explorer, the collab sees the watch with Bamford’s signature military-grade titanium finish and couples a matching black face with white indices, co-branded “:CHOCOOLAAPE” logo, and a military green NATO strap. The piece can be found now exclusively at Tsim Sha Tsui’s The ONE in Hong Kong. Never short of interesting collaborations in both fashion and lifestyle sectors, A Bathing Ape‘s subsidiary label AAPE has teamed up with ubiquitous condom label Durex on limited edition iron boxed cases. The release consists of a small case which holds three packs of condoms and a large case for 12, and features the streetwear mainstay’s trademark First Camo print over the cases’ exterior. Other details include the iconic BAPE head printed on the cases’ center and dual branding elsewhere. Priced at $65 HKD (approximately $8 USD) and $148 HKD (approximately $20 USD) respectively, the cases are now available in green and red from Hong Kong convenient stores 7-Eleven and Circle K now with a portion of the earnings donated to local charity AIDS concern to bring more awareness to World AIDS Day. Details have emerged regarding yet another AAPE by A Bathing Ape collaboration with a third party outside of the familiar territory of clothing. The brand’s latest endeavor is a partnership with Microsoft for a special release of a limited edition Xbox One bundle pack. The pack features a BAPE camouflaged Xbox One and accompanying controller, in addition to a tee and tote bag featuring artwork that unifies the two brands. Stay tuned for future updates regarding pricing and availability on this Asia exclusive release. Founded in 2012, Bike The Moment is a bike community in Hong Kong that aims to change the perception of cycling in a city widely regarded as bicycle-unfriendly. It recently teamed up with AAPE by A Bathing Ape to organize a special night ride event in Hong Kong that took place on September 13. Along with the event, the collaboration resulted in a capsule collection which comprised of a cap, tee, gym bag and water bottle, in addition to a special edition flat-packable bike from Sandwichbikes sporting AAPE‘s iconic camo design. 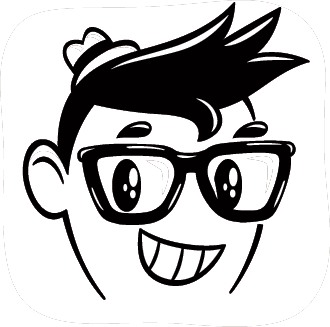 For more on Bike The Moment, visit its website. Restaurant Triple O’s crosses over into the realm of fashion for the very first time with a brand new collaboration alongside A Bathing Ape‘s AAPE imprint. Set to take place from August 9 through September 9, the endeavor will see the Triple O’s Tai Hang store completely transformed, swathed in AAPE’s distinctive camouflage as staff don specially-designed uniforms to complete the look. Fans will find everything from O’s burgers wrapped in camo-covered wrappers atop matching placemats and limited edition reusable cups to limited-time drinks, milkshakes and cookies. Finally, to jumpstart the promotion, a specially-designed AAPE x Triple O’s van will be making the rounds in Causeway Bay and Mongkok on August 2 and August 9, respectively, to pass out free burgers. AAPE by A Bathing Ape has teamed up with Champion for a small capsule collection for the 2014 spring season. Consisting of a hooded varsity, a hooded sweater, and a crewneck sweater, the collection sticks to a dark aesthetic and features the label’s signature camo in shades of grey and black. The hooded varsity features a black body with camo sleeves, black and white striped ribbing on the waist and cuffs, and bold branding on the chest and across the hood. The two sweater options both feature camo bodies with black ribbing on the waist and cuffs and bold graphics across the chest. Look for the collection now at AAPE locations. 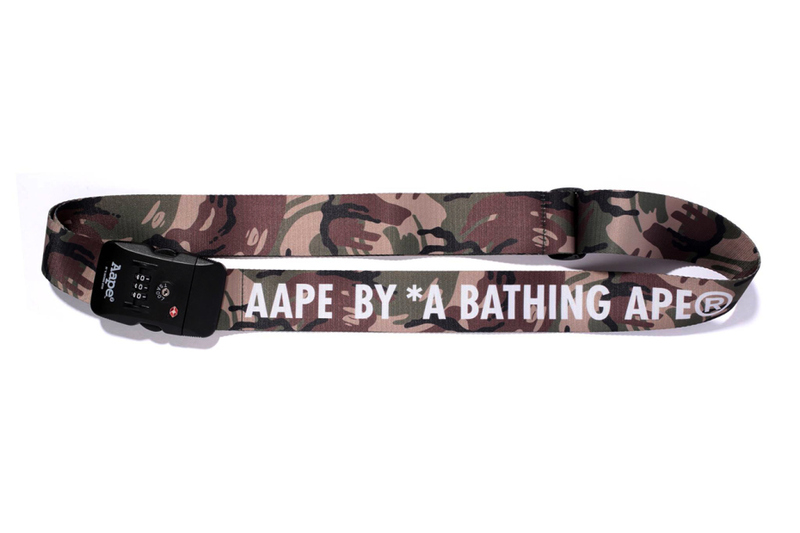 Extending its accessories collection, BAPE‘s subsidiary line AAPE presents this camo Luggage Strap. Fitting for the modern traveler, the luggage strap features a woody camo print over the nylon and polypropylene belt with bold branding printed at its center, and a lock and adjuster for security. The luggage strap is available exclusively via the Harajuku AAPE store for those who spend over ¥15,000 JPY (approximately $145 USD).